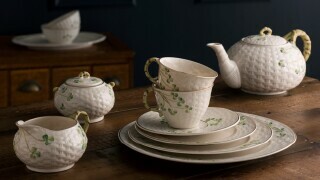 Beautiful and functional Shamrock kitchenware incorporates Belleek's iconic basketweave and hand painted shamrocks into product designs that enchance the Shamrock Tableware collection and can be used in your kitchen everyday. 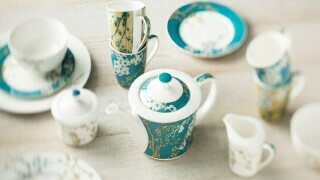 This simplistic new addition will be exactly what you need to enhance your Shamrock collection. 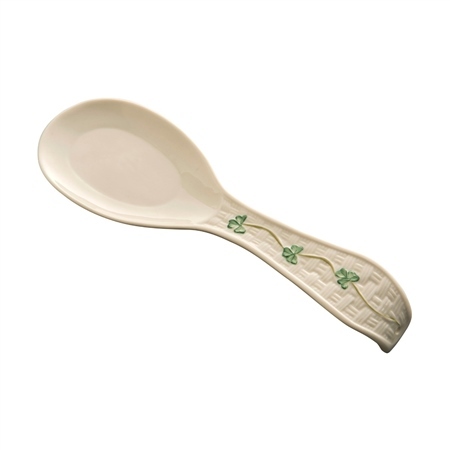 I was not disappointed with the Belleek classic shamrock spoon rest. My expectations were met and actually exceeded. The purchase was delivered promptly with careful attention to the packaging. I expected the quality to be excellent and it was. 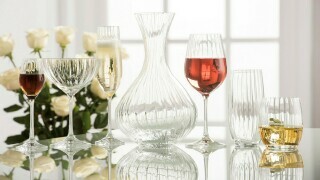 I will continue to purchase Belleek products and recommend Belleek products to my friends and family.